Jane King has been photographing the collection of UK bumblebee species – 27 in all – at Oxford University Museum of Natural History (OUMNH), for Lost & Found. Some of the specimens are very old, dating from the 19th and early 20th Centuries, but are remarkably well conserved and still of enormous value for scientists today. 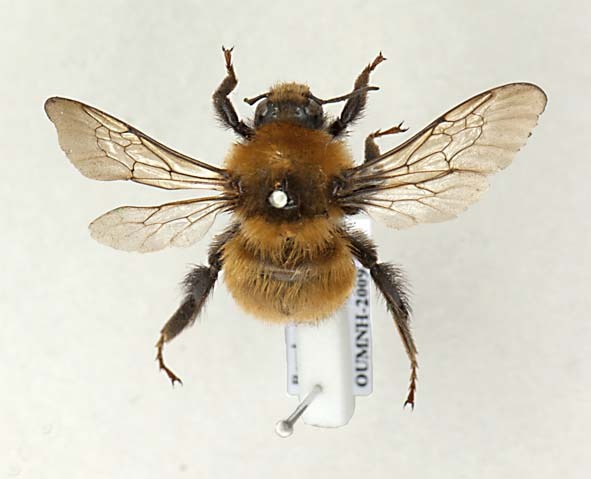 For example DNA extracted from the specimens can be used to compare the health of bees today with those from the past. The bees were photographed using a digital microscope camera and montage imaging software. Multiple shots were taken, varying the depth of field, they were then combined to produce an image of each insect in focus from the tip of its feet to the top of its body. The photographs are source material for some of our work for Lost & Found and for our supporting evidence. 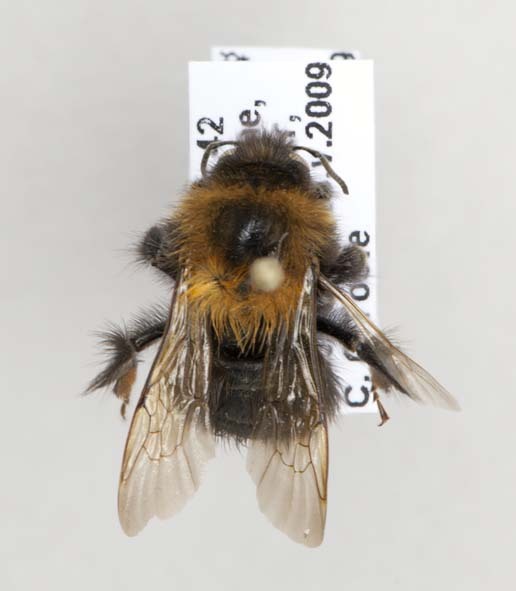 With the help of Prof. Dave Goulson, we’ve created a ‘Status Table’ of the 27 species that have been recorded in the UK. Dave is currently attempting to reintroduce the short-haired bumblebee and was the first person to record the tree bumblebee (Bombus hypnorum) in England. 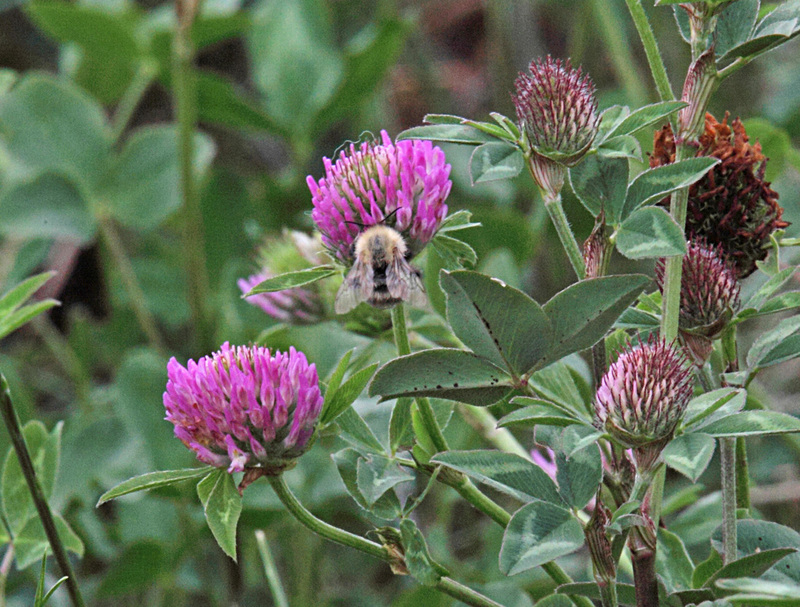 B. hypnorum’s populations have increased here since it arrived from France in 2001, it’s doing well here in gardens. 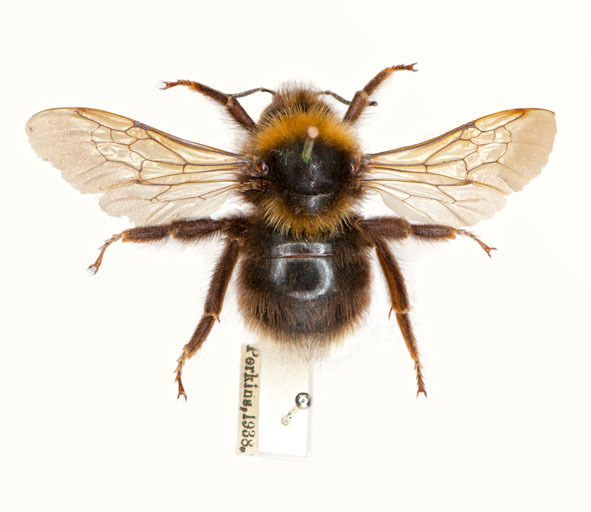 Three of the species shown here are now extinct in Britain: The apple bumblebee (Bombus pomorum), last recorded in 1864, the museum holds only 3 specimens – photographing that one was extremely nerve wracking! 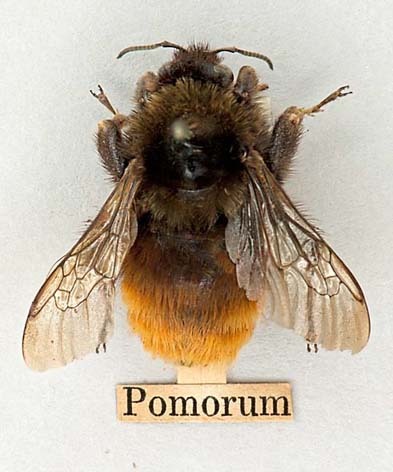 Cullem’s bumblebee (Bombus cullumanus) went extinct in 1941. 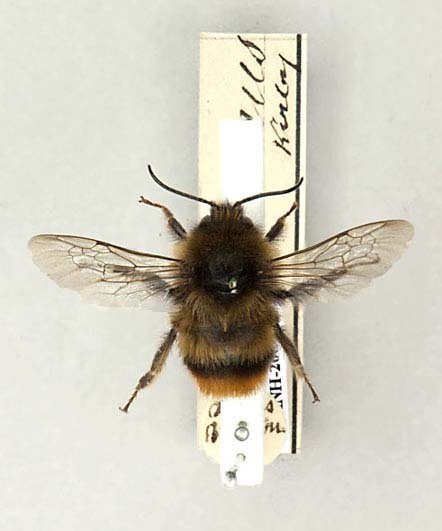 The short-haired bumblebee (Bombus subterraneus) became extinct recently, in 1988. 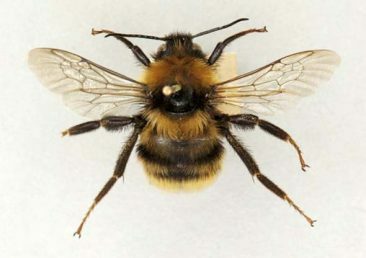 The great yellow bumblebee (Bombus distinguendus) became extinct in England in 1994, it’s now found only in the far north of Scotland.